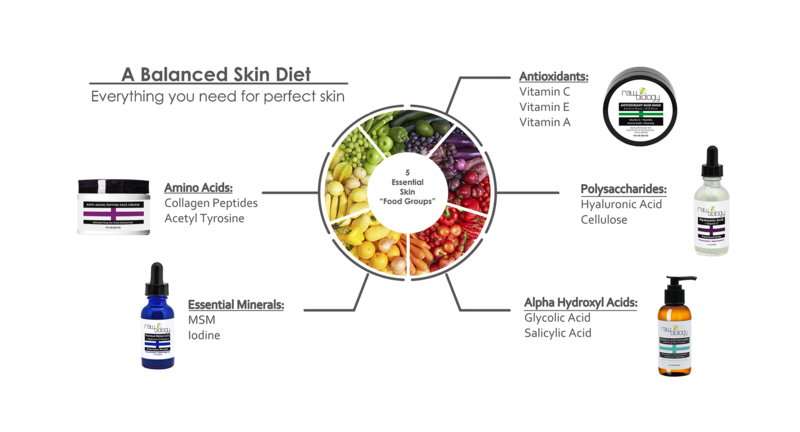 What Is your skin missing in its daily diet? Our “medical grade organics” are formulated based on the most recent research in skin nutrition. Your skin needs 5 basic categories of nutrition to rebuild, repair, and retain a strong, healthy skin structure. 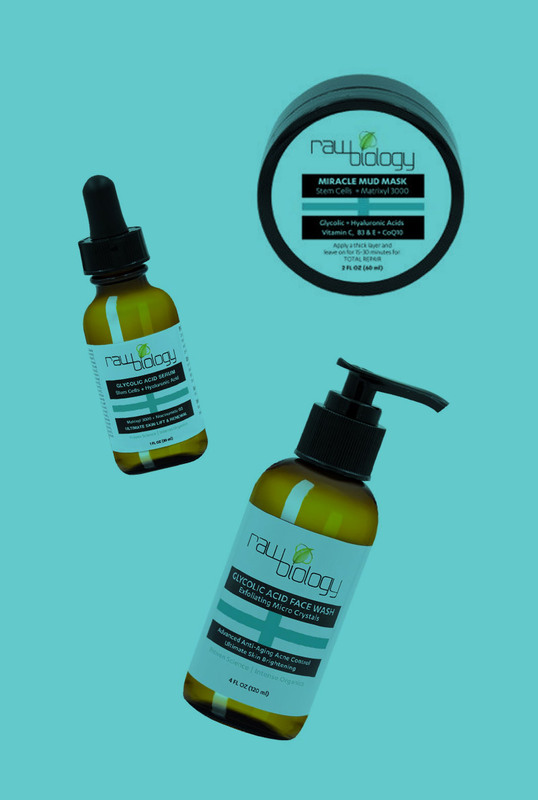 Raw Biology formulas feed your skin a balanced diet of everything you need to achieve and maintain perfect skin. Antioxidants prohibit oxidation by donating electrons to free radicals that were lost from sun exposure and environmental toxins. Polysaccharides deliver vital oxygen to the skin and protect against hypoxic stress (or oxygen deprivation). Oxygen is essential to the overall health of the skin including cellular turnover and the building of collagen and elastin. Amino Acids are the building blocks of protein and essential to maintain the skin’s hydration, texture, resilience, and overall health. 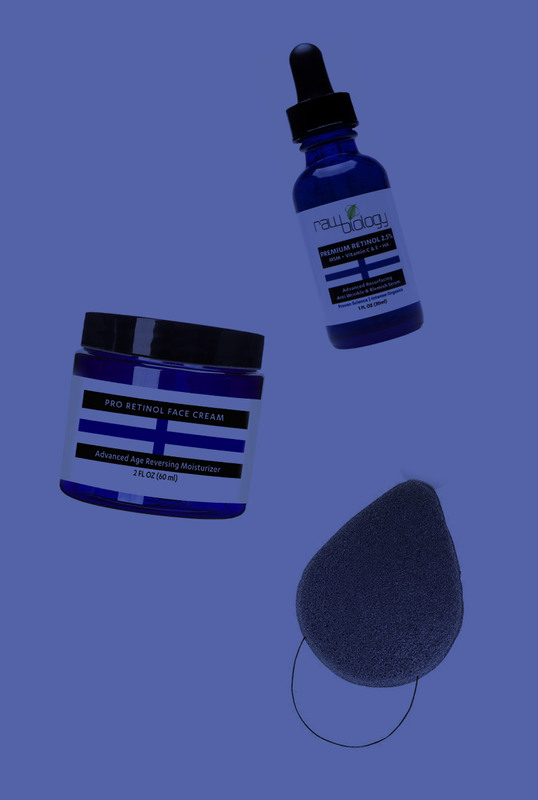 Essential Minerals protect healthy cells by maintaining the barrier of the cell walls to defend against free radicals. Alpha Hydroxyl Acids loosen the bond that holds together the top layers of dead skin, detoxifying and ridding the skin of damaged, dead skin cells. Resulting in smooth, tighten, firm, and brighten. Glycolic & Salicylic Acids are the holy grail of exfoliating alpha hydroxyl acids, detoxing the skin & removing dead skin cells. Peptides and Hyaluronic Acid (an essential polysaccharide) build amino acids that make up elastin & collagen. 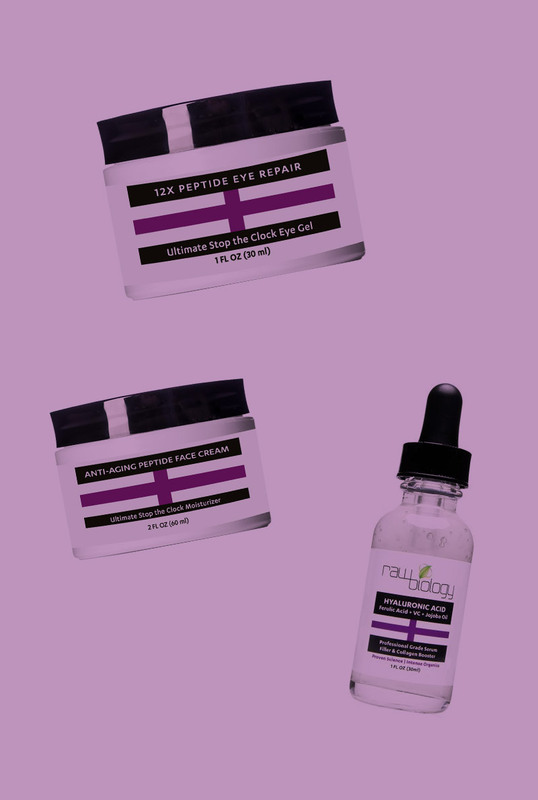 Retinol is a potent antioxidant paired with MSM, an essential mineral, to create new skin cells & strengthen existing ones. Vitamin C and E are the most sought after antioxidants for collagen synthesis and protecting skin from free radicals.